Munyeta is a dish my grandmother on my father's side used to make when I was a kid. 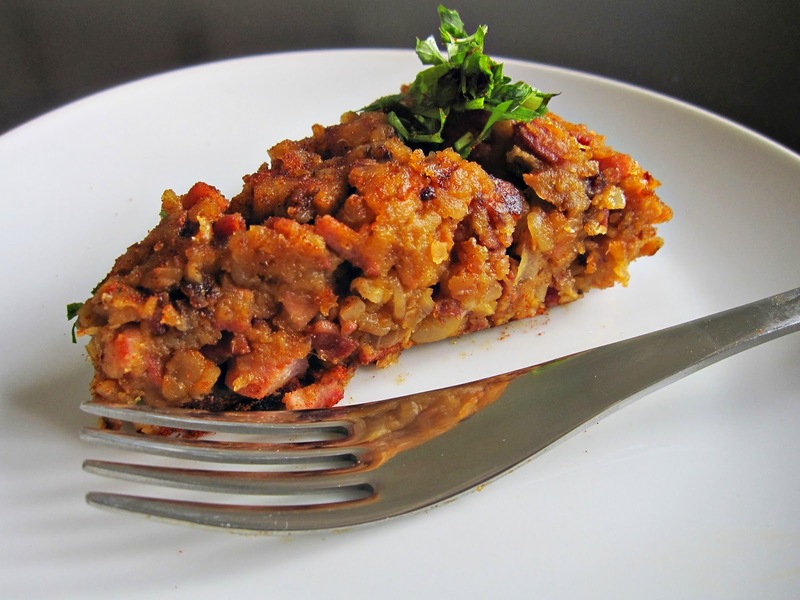 My grandmother was from a rural town in Cuba named Camaguey where this dish was popular. It's more of an obscure dish, since most people I asked about it had no clue what I was talking about. It had been years since i'd had it and all of a sudden I remembered it with nostalgia. 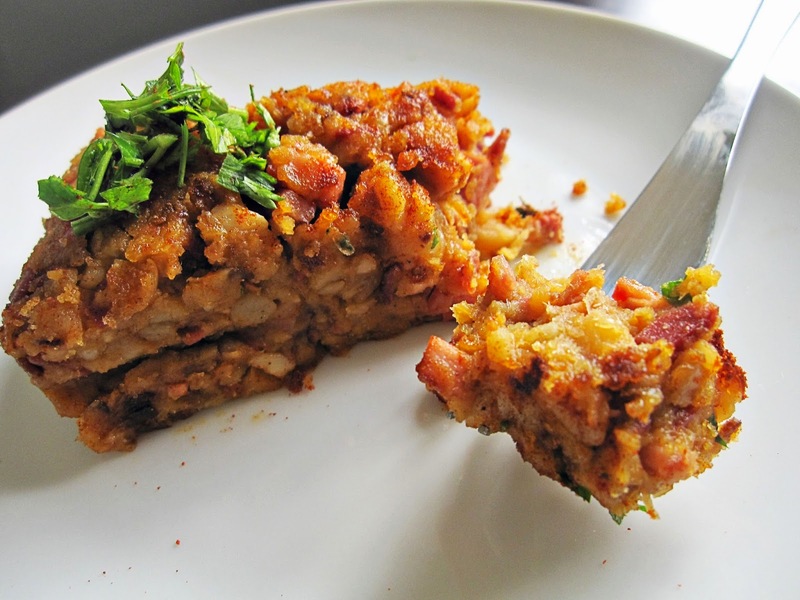 Basically, it's a white bean cake that kind of looks like a Spanish tortilla by the time you're done. It's really easy to make- using only 6 ingredients and the flavors work so well together. First wash the beans well, removing any little pebbles or twigs. 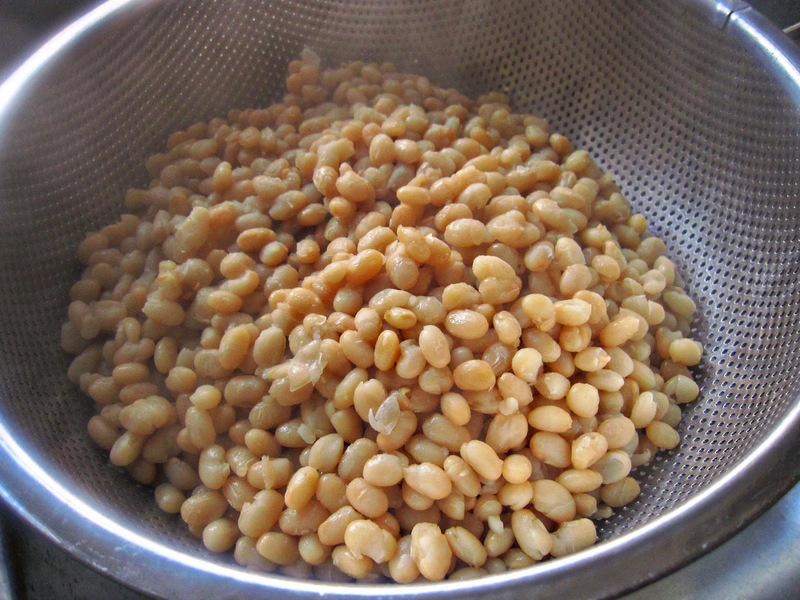 Add to a pressure cooker with 6 cups of water and cook until the beans are soft and tender. If you don't have a pressure cooker, soak the beans overnight and then cook them in a regular pot. Once the beans are cooked, put them in a colander to drain the liquid. Next use the back of your knife to smash half of the garlic cloves. Add a little olive oil to your pan and toss the garlic in to infuse the oil. Cook until the garlic is tender and becomes sweet. Remove and set aside. 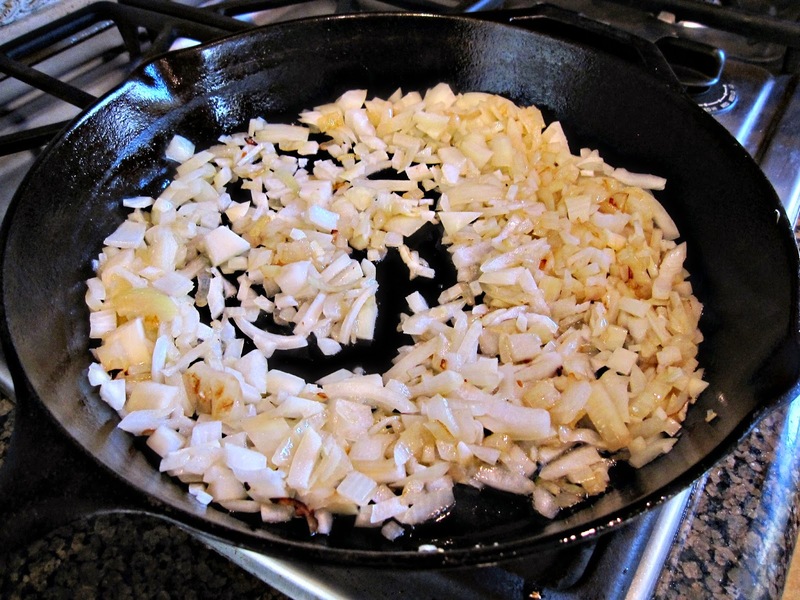 Next dice your onion and add to the pan, sauteing for about 6 minutes. 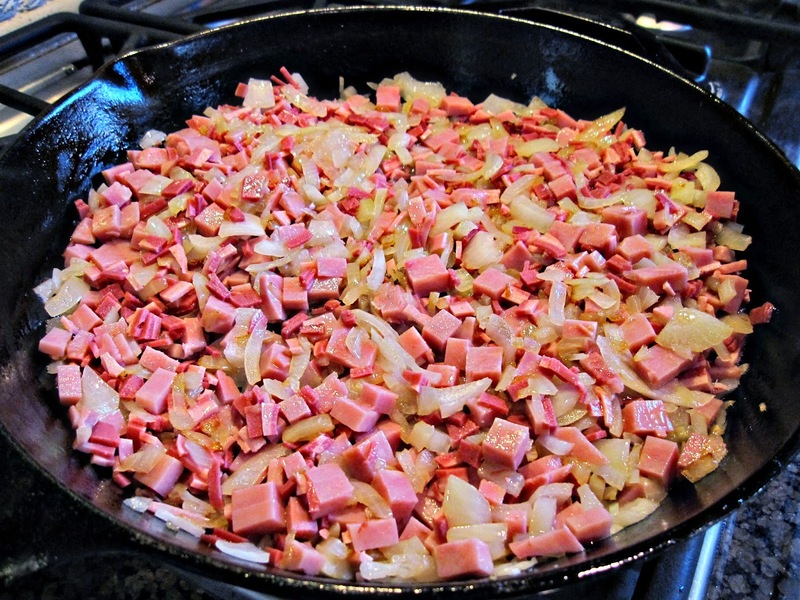 While the onions cook, dice the ham and bacon into small cubes. 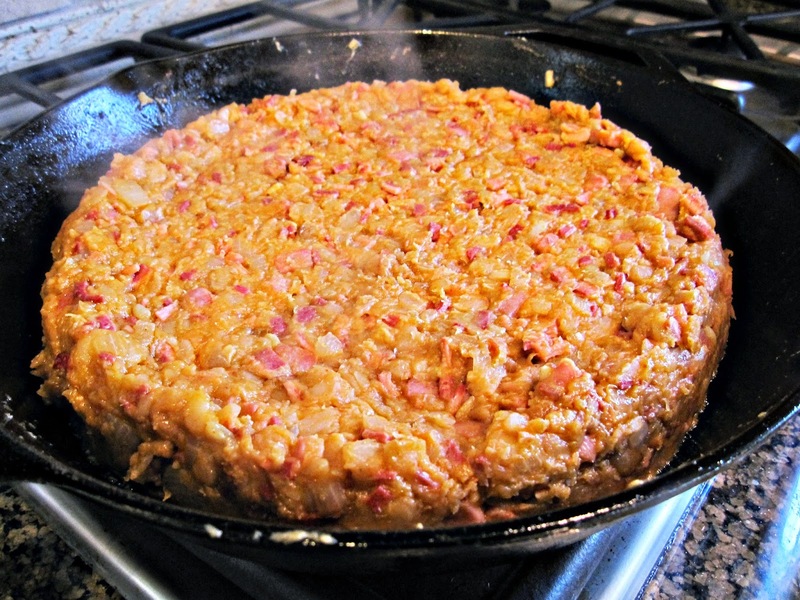 Transfer to the pan and cook until the bacon and ham become slightly crispy. Next add the beans and the paprika. Begin to mash the beans with a potato masher or the back of a large spoon until you have a coarse paste. Don't worry about getting it perfectly smooth, you'll want a rustic consistency. Add two tablespoons of olive oil and blend everything well. Taste for salt. The trick to this dish is letting it cook until the bottom of the mix gets browned and slightly crunchy. Then use a spatula to mix it up, allowing the new layer to get crunchy before mixing again. Add more olive oil as needed. 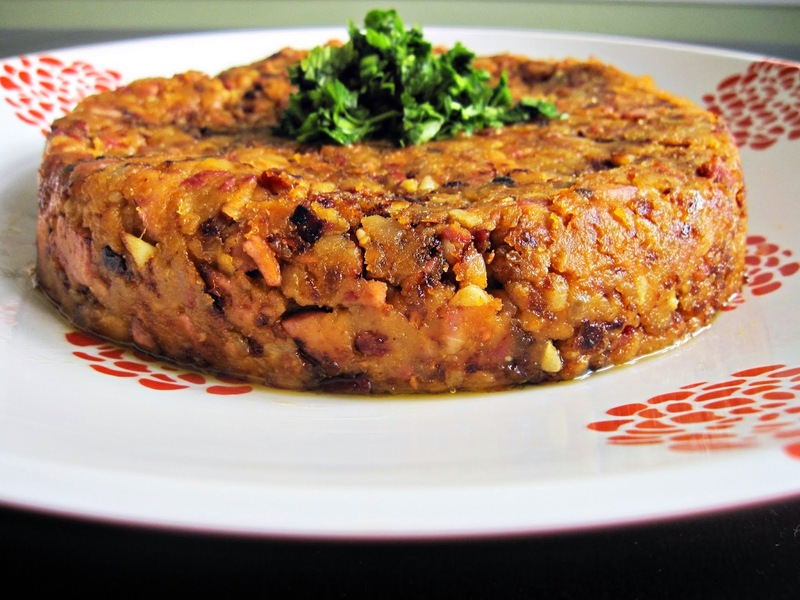 You'll notice that as you continue to cook the munyeta, it will become really pliable and you'll be able to shape it into a large cake reminiscent of a Spanish tortilla. 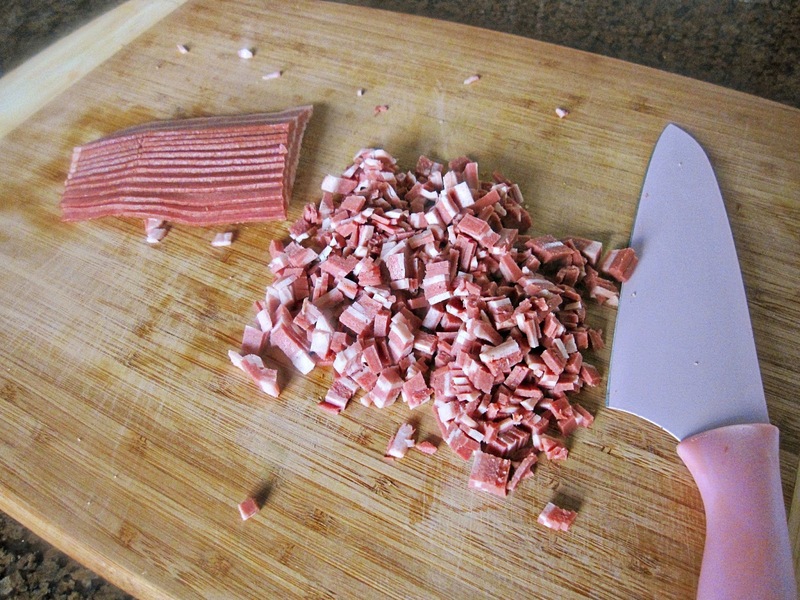 Transfer to a plate, drizzle with a little olive oil and garnish with some fresh chopped parsley. I know this may sound weird, but I didn't feel like eating this with rice, so I fried up a few eggs- over easy and squeezed some ketchup on the side. I had never heard of this, but it looks awesome! I'm going to try this one! It's not very common Cuban dish, but so easy to make and delicious. I hope you like it! Primera vez que oigo de este plato. Te deseo Mucha Suerte con el show. Deja ver si logro programar mi tv para incluir los canales en español para poder verte en tv. La competencia es dura, ya vi que Nathan esta incluido ahi =) fue una sorpresa verlo incluido cuando llegue al web site. Ya tienes mi voto. Buena Suerte! y Feliz Año Nuevo! Mari Thanks so very much for your support! MmmMmmmm que rico :) My grandma makes it different, but still delicious nonetheless you should check out the recipe though, she makes an amazing sopa de fideo. This looks amazing! Congratulations on your site too. I just found it and I'm loving it! Hi Sofia! Thanks so much for your sweet comment. I just checked out your site and it is lovely! Looks like us Cubans are all over the place huh? So good to meet you. Looking forward to becoming blogging buddies! Thanks so much for the munyeta recipe. 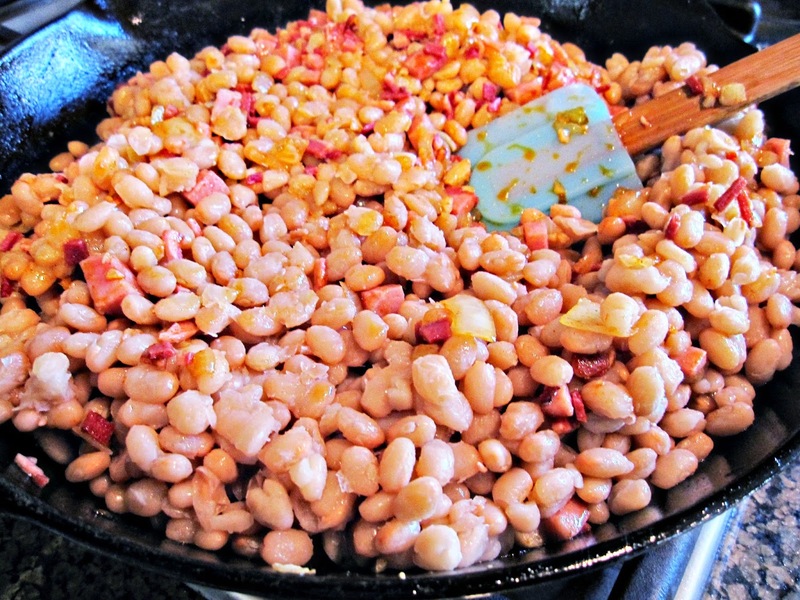 My mom used to make it when she had left over potaje the frijoles blancos ( white bean "fabada" or white bean potaje). She would make it with chorizo instead of ham. I recently came to help my disabled cousin and we got talking that his mom used to make it, too. The original recipe, I believe, came from the Galicia region in Spain. We used to eat accompanied by steak, white rice, and ripe fried plantains or salad. Thank you again. My mom used to make this in Havana, she used white beans and flank steak and ham. 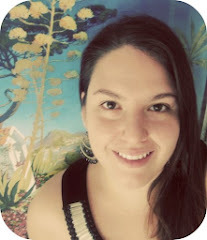 Hi Rox, Should I use one of your photos on my website? Of course I would put your copyright. Thanks in advance. This is a Galician dish that was also made at my house in Cuba, as was the empanada gallega. In Castro's Cuba, where food is rationed, people do not know dishes that were cooked when food was abundant and available to all. Fifty+ years later, one has to go to Miami to taste real Cuban cuisine, which was very varied and included Chinese food (Havana had a China Town), Spanish and Cuban, as well as cuisine from many parts of the world. Munyeta was one of my father's favorites. Gracias por la receta. Ni siquiera estaba segura como se escribia. It was common in Cuba BC. It was made with the remnants of white beans “potaje” from the day before. Many recipes have been lost with time and scarcity.